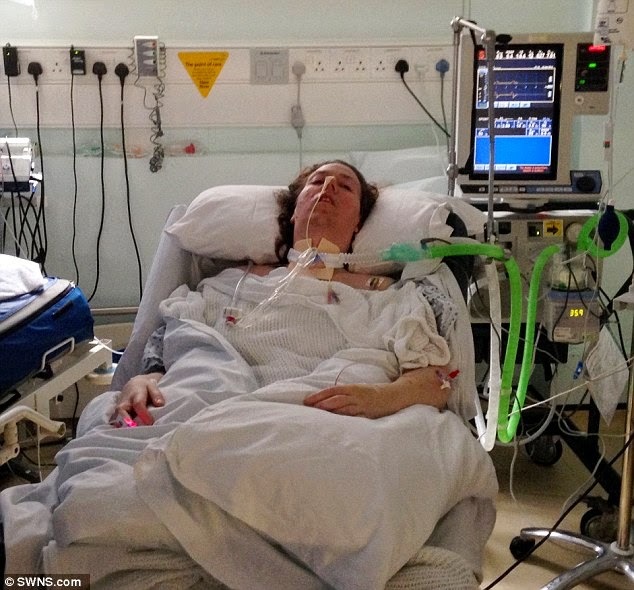 A mother has described how she heard a doctor asking her husband about switching off her life-support as she lay in a medically-induced coma after collapsing from a rare condition. Jenny Bone, who was feared to have catastrophic brain damage after going into cardiac arrest, lay listening to the life-or-death conversation but was paralysed and unable to intervene. She recalls her husband John ruling out ending her life – despite a previous conversation when she said she wanted to die if incapacitated permanently. The 40-year-old later recovered and now says she is relieved he went against her wishes. ‘I was aware of conversations around me,’ she said. ‘The most frequent one was being turned in the bed. A familiar “ready, steady, turn” would come from the nurses. ‘The most alarming was between a doctor and my husband enquiring as to my wishes surrounding being kept alive on a ventilator and that they were unsure whether my mental ability had been impaired due to lack of oxygen while they were attempting to restart my heart. ‘There was an agreement that I should continue to be kept on the ventilator to give a chance for an MRI scan to be done to see if I had any brain function. Mrs Bone, a government building surveyor, felt pins and needles in her legs on March 14 last year but still went to work. She was alone in a tower block in central London when she collapsed as the pain moved up her legs. She managed to catch a train home to Leighton Buzzard, Bedfordshire, and went to her GP who immediately sent her to Luton and Dunstable Hospital with a letter saying she might have Guillain-Barre syndrome. The condition involves the immune system attacking the peripheral nervous system – the network of nerves outside the central nervous system – leaving the brain unable to control muscles. She and her husband claim the letter was handed over but not acted upon and she was initially told she had a chest complaint. Hours later she stopped breathing and went into cardiac arrest. She was given a tracheotomy to help her breathe and was placed in a light medically-induced coma. She was on a respirator in an intensive care unit when a doctor raised the subject of ending her life a few days later. Mr Bone, 58, who is also a surveyor, explained: ‘He said they didn’t know how long she was deprived of oxygen and there could be a range of deficits and it could be time to turn the machine off. I said it was far too early. 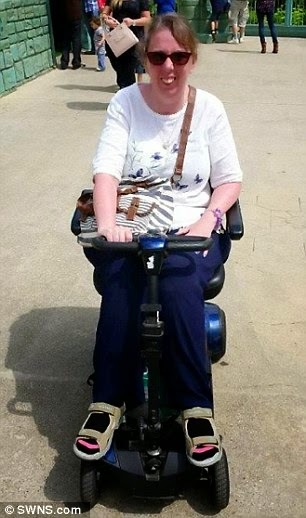 While in intensive care Mrs Bone was finally diagnosed with Guillain-Barre syndrome. 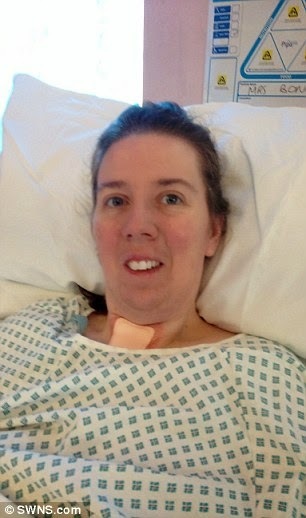 Doctors realised she had a chance of surviving if kept in the coma to allow her body to repair itself. She was given intravenous immunoglobulin and had a plasma exchange. Shortly after returning home she began taking her five-year-old son, David, to school with the aid of a walking frame. Now, one year on, she is back at work and has completed a 5km charity run, negotiating the course while leaning on a walking stick. 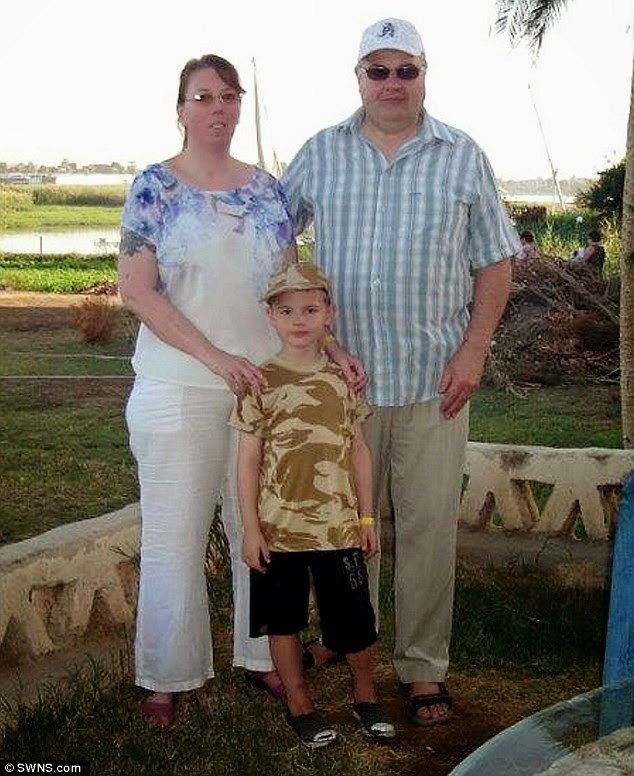 The couple have made a formal complaint to the hospital about the GP’s letter being ignored. Renowned neurosurgeon Munchi Choksey said: ‘Sometimes the sedation wears off a bit, so she might have been hearing some of the conversations around her.